I was thrilled to hear that Moderne, a design gallery specializing in Studio Furniture, is opening the first comprehensive overview show of designer/craftsman David Ebner, one of the most ambitious and accomplished figures of the Movement today. It was at Moderne Gallery, that I was first introduced to Ebner's work by its founder Bob Aibel whose commitment to promoting, preserving, and disseminating the knowledge on the Studio Furniture Movement I admire. 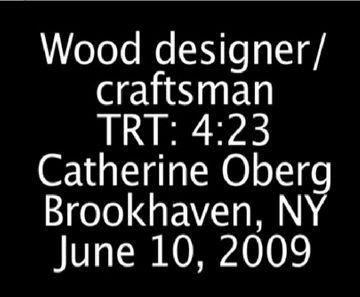 The show, which coincides with the publication "David Ebner: Studio Furniture" by Nancy Schiffer, covers the total scope of his life's work, from pieces created in his days as a student at the legendary School for American Craftsmen at the Rochester Institute of Technology in the mid 60's, to his current work.